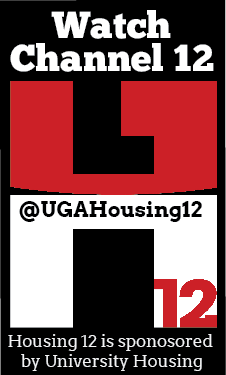 University Housing and Residence Hall Studios (RHS) are pleased to announce that Housing 12 is officially back on the air! Housing 12 is University Housing's closed circuit television station. This student-led station broadcasts a variety of content, ranging from videos written and produced by RHS members to informational clips on student safety and academic success at UGA. 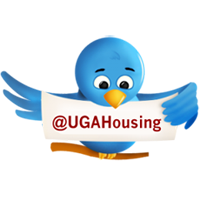 Housing 12 also shares a wide range of content that highlights important campus and community events. What's new on Housing 12? Recently, RHS launched Classic City Bark, a brand new show that will air Thursday evenings on Housing 12 this semester. Classic City Bark is a panel talk show brought to the University of Georgia through Residence Hall Studios. In the style of "The View," five female panelists discuss topics in health and wellness, science and technology, environmentalism, human rights, politics and entertainment. Be sure to tune in to Classic City Bark every Thursday at 7 p.m. only on Housing 12. Interested in learning about television programming and production? Want to produce or star in your own show? Come to the Residence Hall Studios interest meeting! Why: Because you just might be the next television programming star!